As you can see the drawings stand not side by side, the second is a little below the first. So if anyone has time to answer please suggest me a possible solution. How can I have the three pentagons side by side? 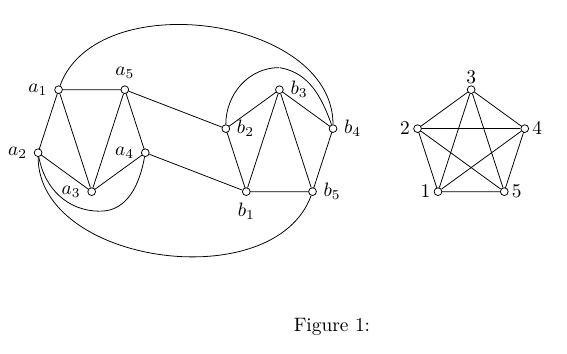 Just add the baseline key to both tikz pictures. Just for fun here you find another solution for previous figure. I've used regular polygons nodes and their already defined anchors. This way it's easier to use relative placement for them. Two right pentagonal nodes use transform shape, xscale=-1 to revert corners order to be CW. Labels on vertex are placed with three foreach constructions. And aux1 and aux2 nodes has been eliminated by adding some control points in to constructions. Hope it helps. Not the answer you're looking for? 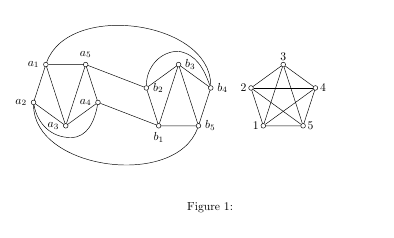 Browse other questions tagged tikz-styles graphs or ask your own question. 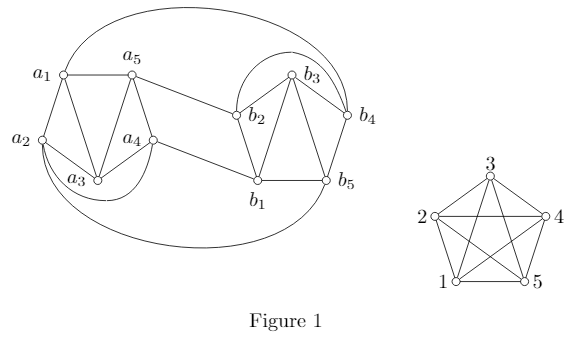 How to make all nodes same size in TikZ?